Germany-based Chinese writer Chang Ping's siblings were detained by police on March 27. Image from Twitter. 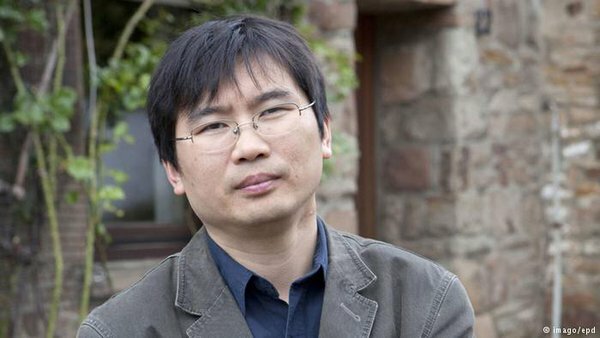 Germany-based writer and Deutsche Welle reporter Chang Ping reported on March 27 that police in China burst into his father's birthday celebration and detained three of his younger siblings, alleging a connection between Chang's work and the letter. Police also demanded that Chang delete a Tweet he posted about their abduction and stop publishing articles about the activities of the Chinese government. 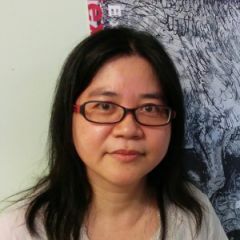 The detentions and threats follow the arrests of the parents and brother of US-based Chinese activist Wen Yunchao on March 22. Mysteriously published on the Communist party-affiliated news site new site Watching, and allegedly signed by “loyal Communist Party members,” the letter criticizes Xi's political, diplomatic, economic and cultural policies, charging Xi with the “abandonment of the democratic system of collective leadership” and arguing that his policies have led to an “excessive” concentration of power. Chang Ping is a renowned Chinese writer based in Germany. He was sacked as deputy chief editor in Southern Metropolis Weekly magazine after commenting on the 2008 riots in Lhasa, Tibet and asking the government to give more freedom to the press on news related to Tibet. In 2012, after Chang Ping failed to renew his working visa in Hong Kong, he relocated to Germany and started writing for German daily Deutsche Welle. But leaving China has not freed Chang from Chinese authorities’ political harassment. After his former colleague Jia Jia disappeared after attempting to fly from Beijing to Hong Kong on March 15, Chang wrote in his column on Deutsche Welle, “Jia Jia Was Disappeared for the Crime of Seeing“. The article criticized the Chinese government for persecution people who are not blind and therefore “see” the existence of the secret open letter. What he did not anticipate is that the Chinese police would actually go after the “blind”– in this case, the relatives of those who saw the letter. On March 27, Chang Ping wrote on Twitter that his sister and two brothers were kidnapped by the Chinese police at his father's birthday banquet. The police threatened that they would be punished if Chang Ping did not stop making comments about the Chinese government. They also demanded that the Deutsche Welle article on Jia Jia be removed. 2) Apart from the above column [Deutsche Welle] and interview [Radio France Internationale/RFI], I personally have no other connection to the open letter. I didn’t help draft it, I didn’t publicize it, and I only read it after it had already been widely promulgated. It’s just like I said in my column: I don’t get involved in internal Party power struggles, and I’ve no interest in doing so. My family members and relatives will continue being brainwashed by the Chinese police, and they’ll think that the misery that’s befallen them is because I don’t care about my family. Some of them have already started cursing me. This will have no bearing on me. Nor do I have any way of making them understand just how despicable and base the CCP is. This is hooligan behavior. Punishment by association has been abolished by the CCP as it is an extremely barbaric act which does not have any place in any legal text. But, they [the Chinese authorities] are exploiting such methods. […] This is like holding an innocent person hostage to achieve political means. This act is extremely barbaric and a betrayal and insult to human society and its political and legal civilization.